PHUKET: FC Phuket are back into action with a tough match against Suphanburi FC this afternoon at Surakul Stadium. The field should be sloppy, as the stadium was hit with heavy rains last night and again this afternoon. 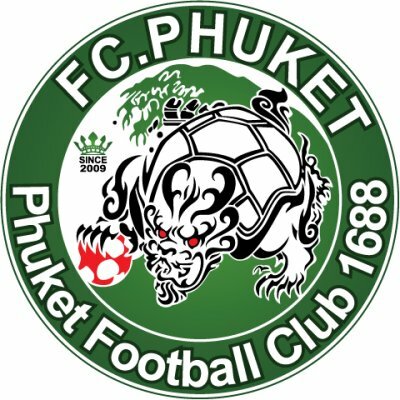 Coming into the sixth fixture for the 2012 Thai Yamaha 1 league, Phuket are in 10th place with a win, three draws and a loss. Their opponents, the Suphanburi “Elephent Calvery” or “Warriors”, are in 9th place following 2 wins, 2 draws and a loss. Suphanburi boasts the highest budget of all 18 teams in the Yamaha 1 league, reported to have as much as 50mn baht to spend this season. Much of this is tied to Suphan’s foreign lineup, which includes two Brits, two Japanese, an Ivorian, a Korean and a Cameroonian. By contrast, Phuket FC’s projected budget is only 20mn baht, mostly to cover the salaries of its three Ivorians, two Brazilians and two Koreans. According to Thai Premier League regulations, each team is allowed to field only three non-Asian players, in addition to one non-Thai Asian (the “3+1 rule”) on the pitch at the same time, while the res tmust be Thai. For complete information and league results, see the match report online after tomorrow and the full report in the paper. Kickoff today will commence at 4pm. Adult tickets are 80 baht, children 20 baht. Season tickets are still available at the main gate on Wichit Songkhram Road.